25 Jun Are wood burners bad for our urban air quality? Air quality is making news headlines once again, and once again wood-burning stoves are being singled out as one of the culprits for our deteriorating air quality. But is that right? Are wood burners really that bad? It is a topic we have looked at before and we will keep exploring it as we want to make sure that we are supporting our clients in making the right decisions for them while offering wood-burning stoves that will not damage the environment. This month we look at the most recent headlines and look at the relationship between wood and air quality. The process of burning any fuel – be it petrol, diesel, gas, or wood – will result in the release of certain pollutants into the atmosphere through the combustion process. The amount and proportion relative to each other will vary depending on the type of fuel and efficiency of combustion. For example, gas results in fewer small particulates than petrol or diesel, or even wood. The way in which a fuel is burned will also play a major role in how many pollutants are created and emitted to atmosphere. Particulates are small pieces of soot that are categorised by size, the most harmful being those called PM2.5 (particulate matter that is 2.5 microns in size). These are small enough to be invisible to the naked eye and when we breathe them in, they can stay lodged in our lungs. How does all this relate to my wood burner? By burning wood as the main source of fuel wood burners will contribute to the creation of small particulates through the combustion process. However, there is one big difference between burning wood in an open fire and a wood-burning stove. 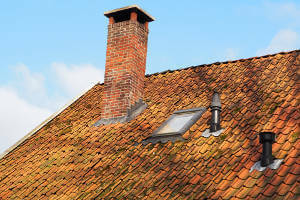 When you burn wood in an open fire all particulate matter will go up into the chimney and into the atmosphere. A wood-burning stove is designed to be a closed system, trapping many of those particulates and only allowing gases to escape to atmosphere. This way, the proportion of particles that go into the air that we breathe is reduced by comparison. Will I have to give up my wood burner? No. The Department for Environment (Defra) has set certain standards that the manufacturers of wood burners must meet. This means that they need to be made in a way that traps a proportion of pollutants and particles preventing them from going into the atmosphere. Going forward, those will be tightened even more for new wood-burning stoves.